When it comes to basement windows, the custom Magic View Window is tailor made to fit this application. It is designed to give 35% more viewing area with a slimmer profile and comes standard with an interior drywall return channel. Slimline profile frame allows for an increase in glass viewing area. 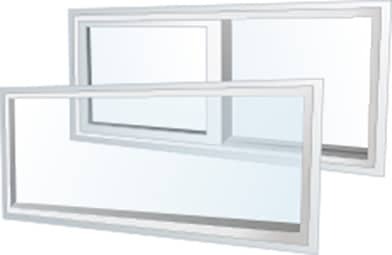 Allows more egress than other windows its size.